Summer is almost over! 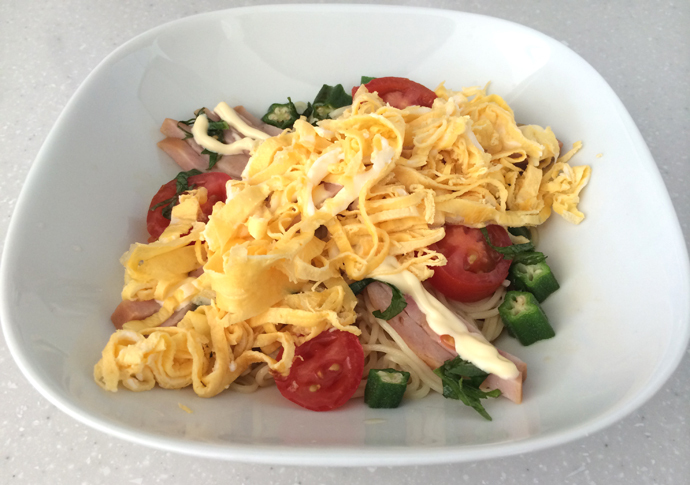 So I decided to cook the last summer dish “Hiyashi Chuka”. “Hiyashi” means cold and “Chuka” means China or Chinese-style. This dish was invented in Japan but we use the Chinese noodle, so it is cold the “Hiyashi Chuka”. 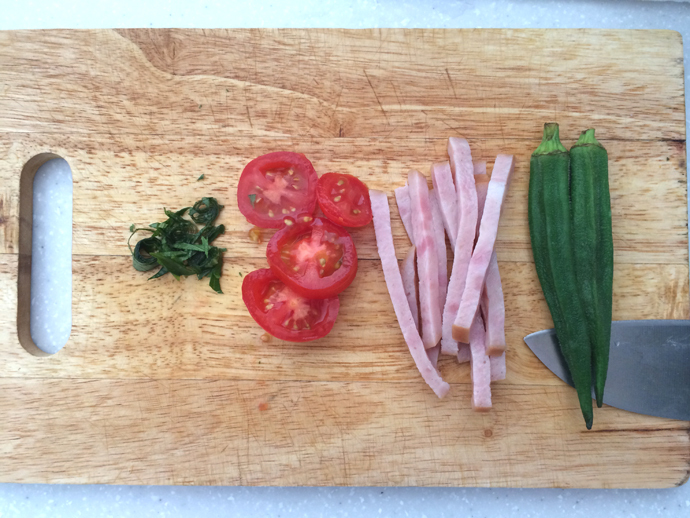 To make the “Hiyashi Cyuka” is really easy and simple! 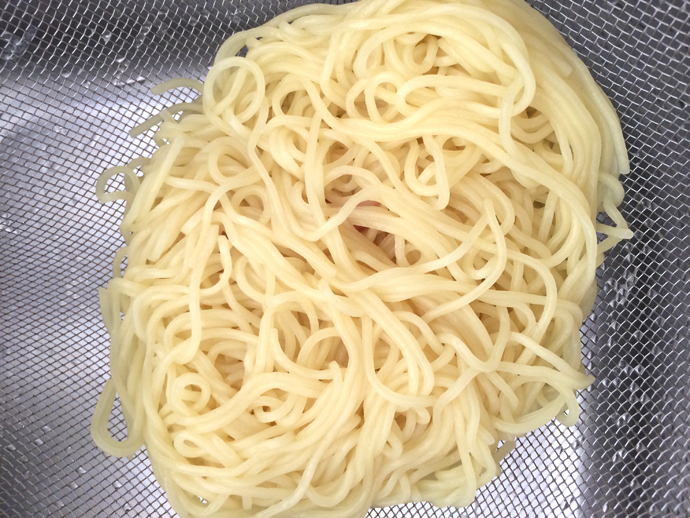 At first, we put the Chinese noodle into the boiling water for a few minutes. And then, drain the water and wash with cold water. After that! You can add any vegetables as you want. We usually put the sliced cucumber, julienned strips of thin omelet, pickled ginger, pieces of tomato and sliced ham over the noodle. Then, pour the special soup either soy sauce + vinegar or Sesame based sauce. This time, I found Okra, Japanese basil and mini tomato in my fridge. So I cut and sprinkled them. One more tip! I like to put Japanese Mayonnaise over the noodle and vegetables! Oishii—!! !